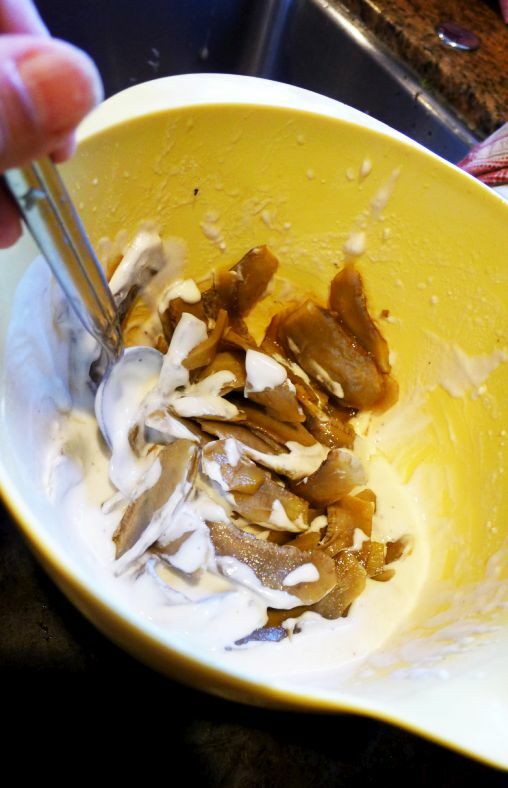 Combining artichokes and squid is an unusal for a salad! 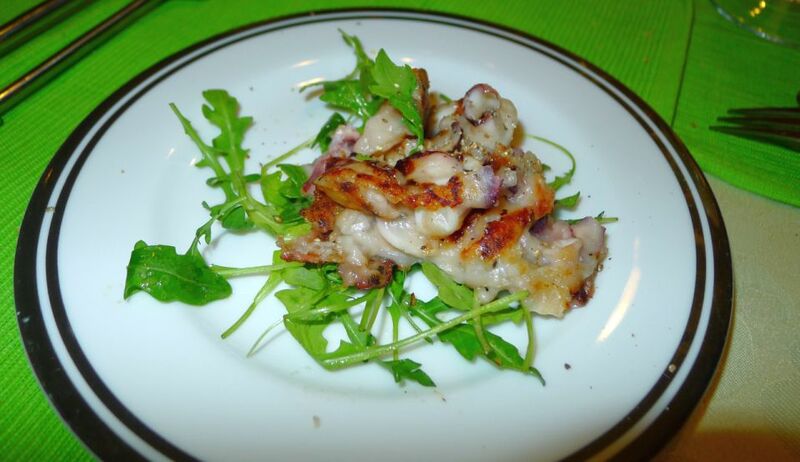 The dish is made by mixing squid and artichoke together and then I sautéed them like potato pancake. The texture and flavor of the dish is pretty amazing and very well balanced. The slight bitterness of the artichokes perked up the squid, and both had a soft chewiness that felt great in the mouth. 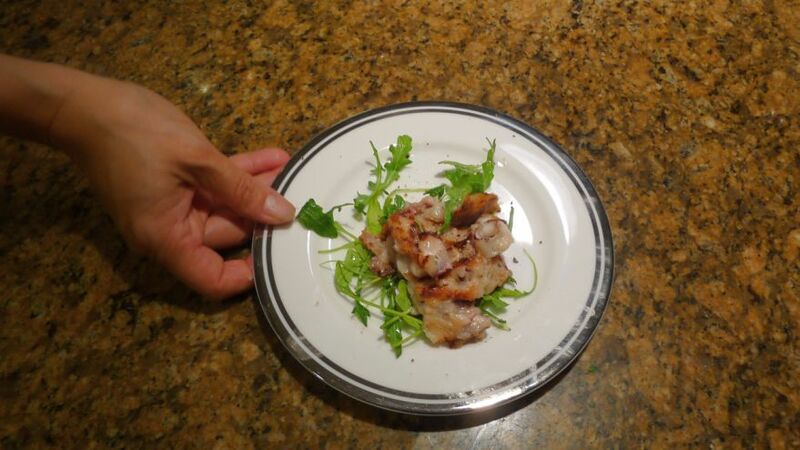 This dish tastes like fried calamari with a twist. When the dish is brought to the table you have a choice of eating it as is or squeezing a bit of lemon juice to bring more brightness to the dish. 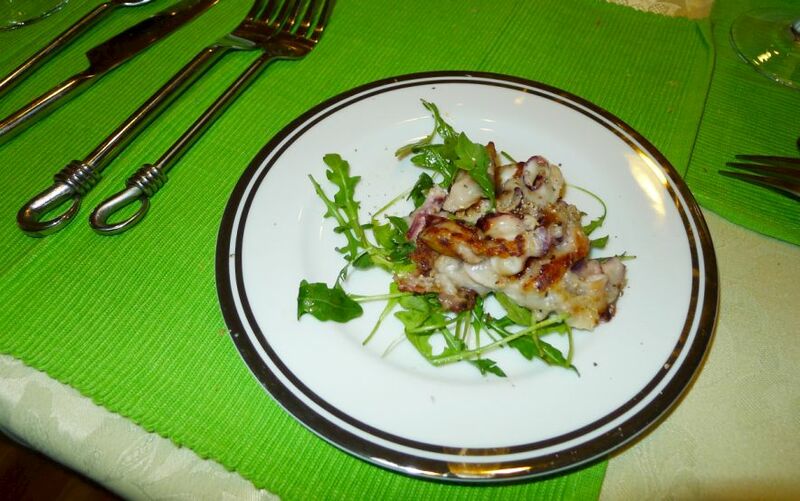 The squid and artichoke galette are served on a bed of arugula seasoned with an orange/honey vinaigrette. 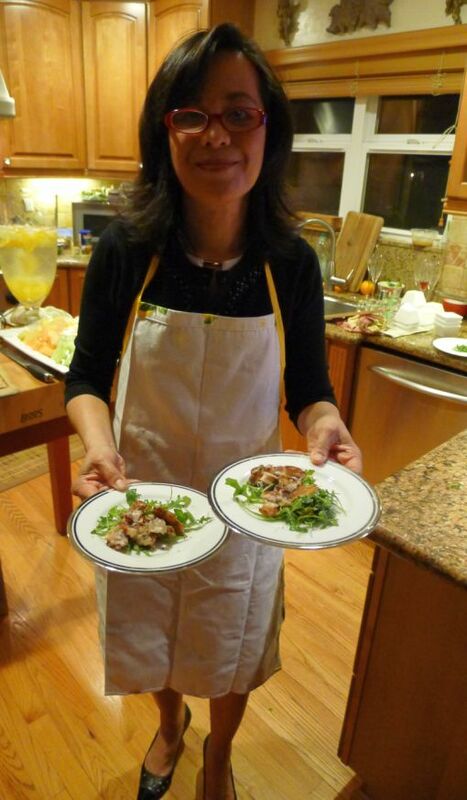 I served this dish at my Italian Chef's tasting menu and got rave review for it! 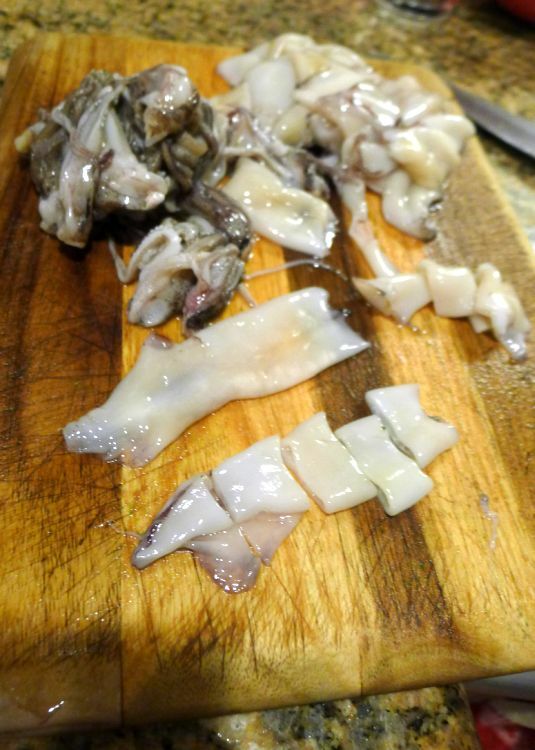 Clean all the squid by pulling away the head and tentacles from the body (tube). Reach into the body and pull out the entrails and the plastic like quill and peel the skin off. Cut about 1/2 inch wide and put into a bowl. 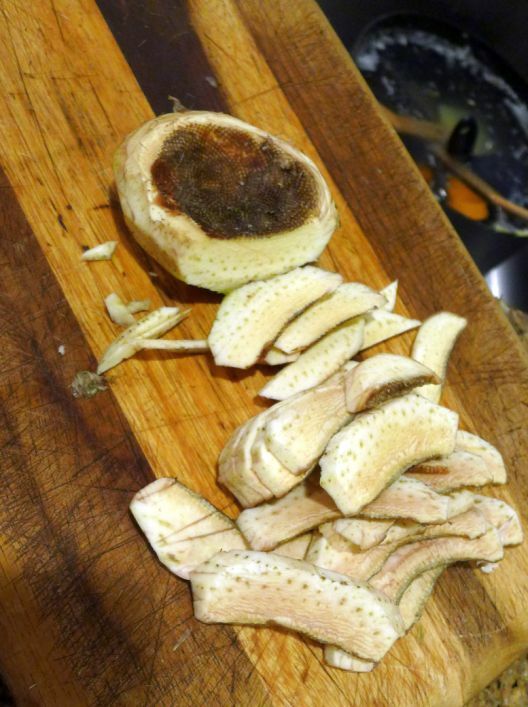 Squeeze the base of the tentacles to force out the hard beaks and cut into 3 pieces. Scoop out and discard the fuzzy stuff on top of the choke. 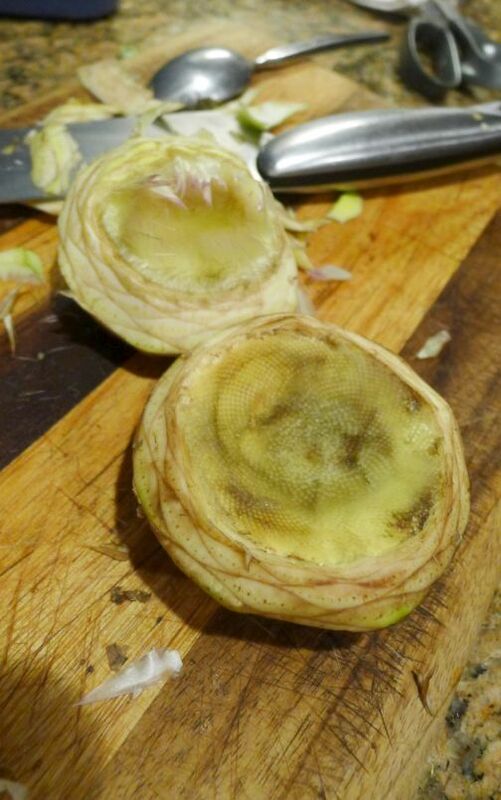 Cut the choke in half and then slice them about 1/8 inch thick. 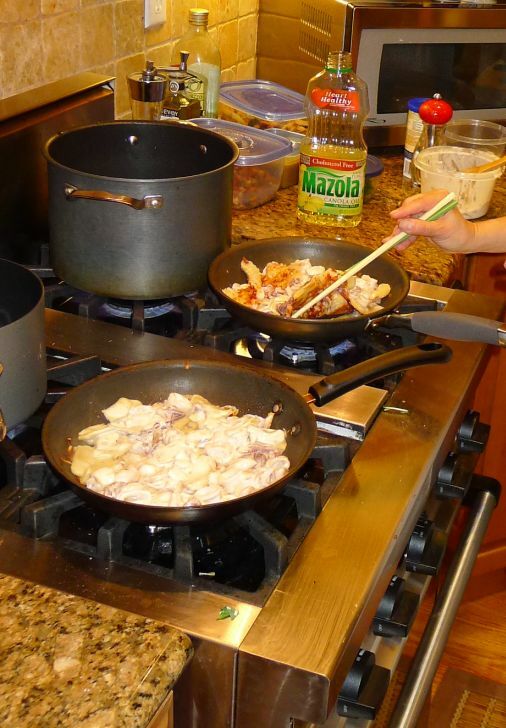 Add a tablespoon of oil in a large pan and heat a medium heat. 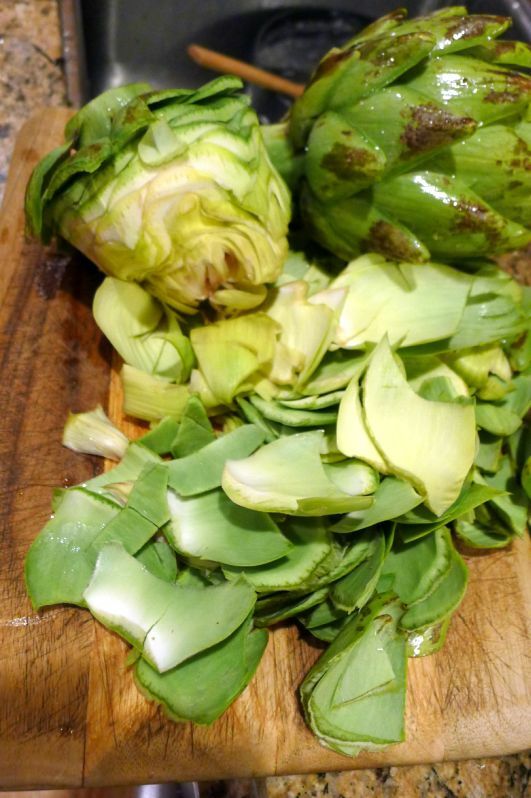 Sautéed the artichoke until tender (about 2 minutes). Set aside. 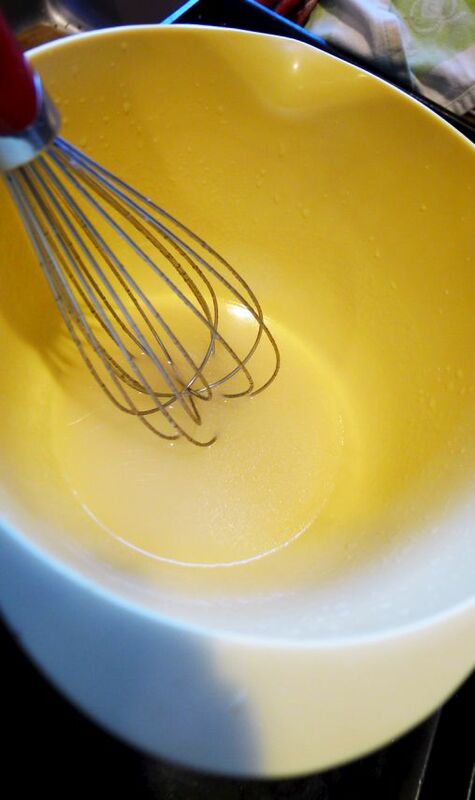 Add oil and lemon juice into a bowl and then start mixing vigorously by hand so the oil emulsifies with the lemon juice. 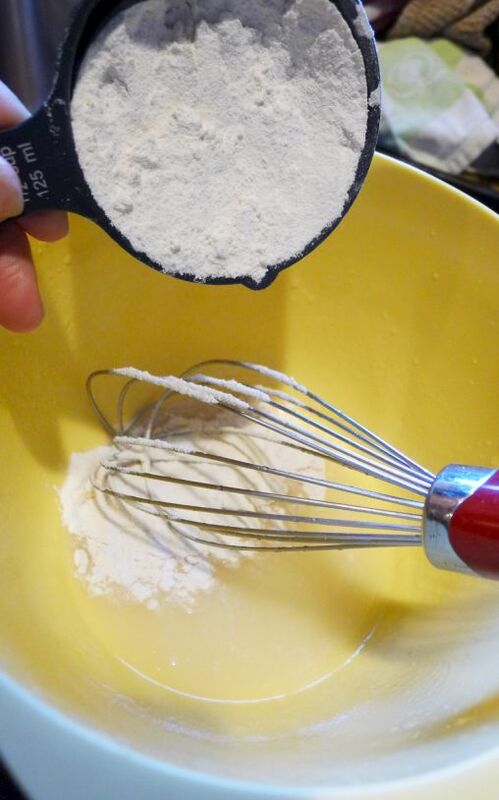 Slowly add the flour and mix until a loose paste forms. 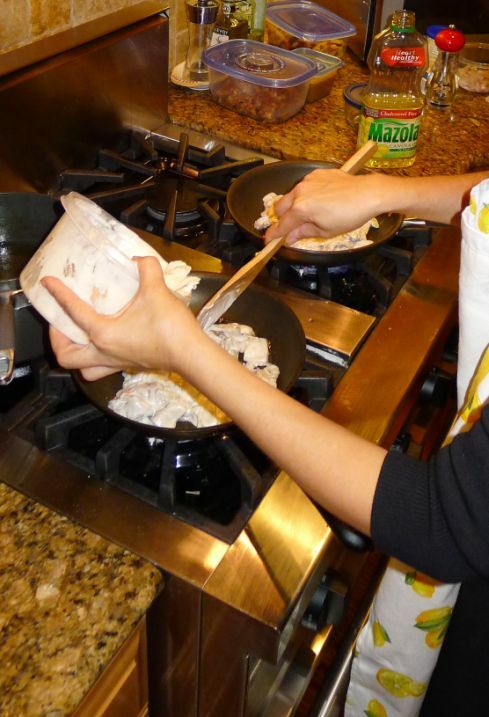 Add the artichoke, mix well and then mix the squid and stir until well combined. Heat a large pan over medium heat. 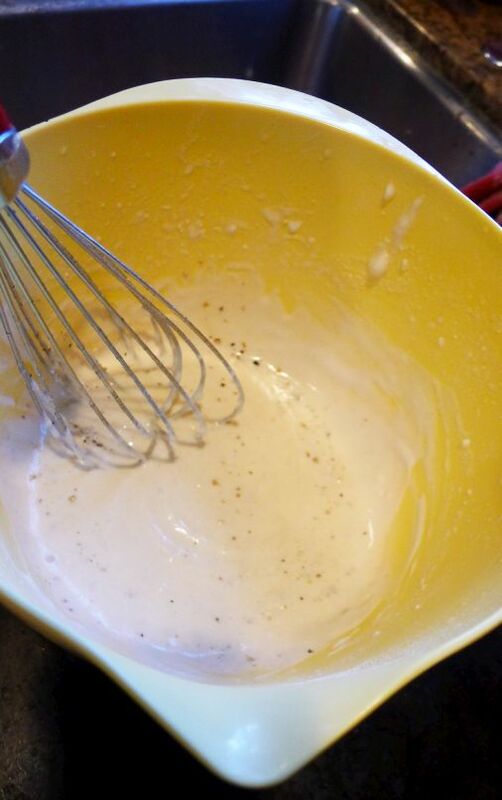 Pour the batter to fill the pan and flatten the mixture with a spatula to resemble a potato cake. Cook about 3 minutes or until golden brown on the bottom. 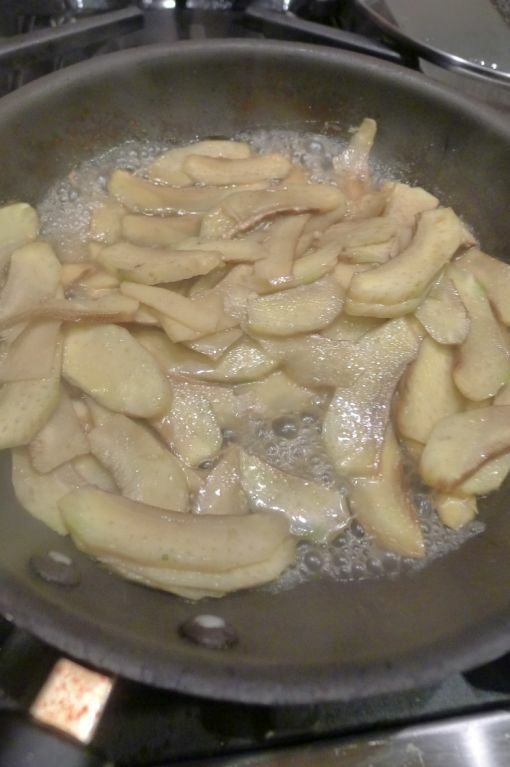 Flip the galette over and cook for about 3 minutes longer or until golden brown. 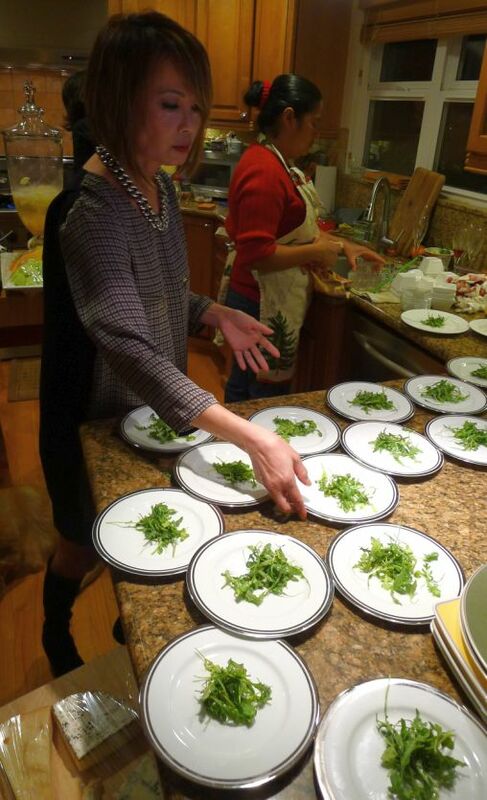 While I am cooking the galette, Loan is helping me plate the arugula salad. Here I am platting the 1st plate.